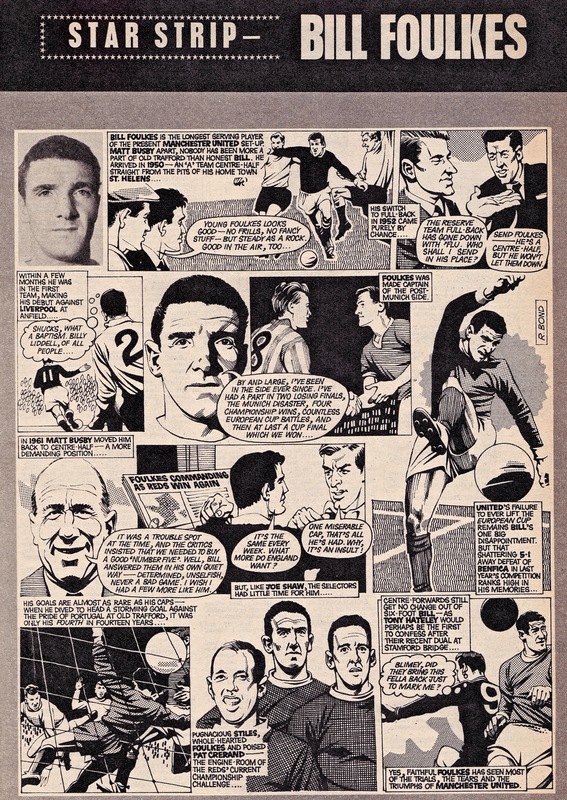 Long-serving Manchester United defender Bill Foulkes is the latest player to be immortalised via the medium of cartoon in our Star Strip series. We capture Bill in 1967 at the ripe old age of 35 with his time at Old Trafford winding down, although there was the small matter of a forthcoming European Cup success ahead to give the uncompromising centre-half a wonderful ending to his wonderful career at the club. The highlight of this Star Strip for us is the visual representation of Nobby Stiles – less midfield enforcer, more Arthur Askey, Live at the London Palladium. (Ask your granddad).